I’ve always liked the radio. There’s a visceral affection I have for small transistor radios that transcends any feeling I could ever have for any vulgar television set. I think of all the wonders that can come out of that little box with the grilled speaker, all that I learned about music and about the world while listening to it as a young ‘un; and in the here and now, there is this love I have for radio as a medium where one’s own mind and imagination are still in play, versus that televisual medium where so much (way too much) gets hurled at you in the way of stimulation, like it or not. 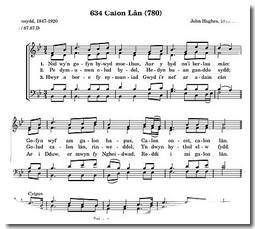 Still pursuing a recent obsession with Welsh music, this American-of-Irish-extraction thought he would reflect a little on the beautiful song “Calon Lân” (generally translated to English as “A Pure Heart”). It’s a song that seems to be deeply embedded in the Welsh culture, to such an extent that you could easily believe it were a much older song than it is. It was first published in 1899, which isn’t yesterday, but is certainly modern times, only fifteen years before WWI. The lyric was written by the Welsh poet Daniel James, also known by his Welsh poetic nickname, “Gwyrosydd.” It’s reported that he wrote the words as a prayer and then later asked the Welsh tunesmith John Hughes (known also for the great melody “Cwm Rhondda”) to put it to music, which he did, promptly creating a hymn of some sublime beauty and power. 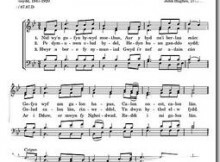 Its first appearance was in a Sunday School periodical, and it became widely beloved during what is known as “The Welsh Revival” of 1904-1905, a revival of Christianity which is credited with spurring similar awakenings far beyond the borders of Wales. 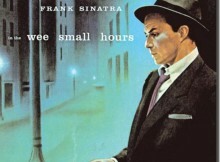 The song is also one of a number of great Welsh melodies which can be heard in the classic film, “How Green Was My Valley,” directed by John Ford, from 1941. It’s the kind of a song where I think most anyone listening to it would find it affecting even with absolutely no idea of what the words mean. 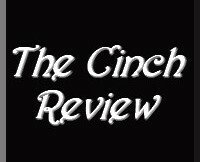 I can say at least that it certainly had me reaching for a hankie the first time I heard it, though I had no tangible notion of what it was about. 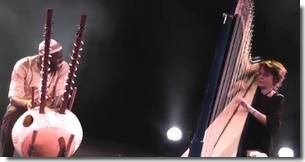 Somehow just the sound of the singing of those syllables and that tune left no doubt that it represented something very profound. It seemed unlikely that it was a song about, say, scrambled eggs. It came across as a statement from deep within the human soul, full of emotion; it was clearly an extraordinarily deep declaration or plea. At the age of 72, most pure pop vocalists (if they’re still able to sing) are playing it safe, rehashing their tried and true work, or recording duets with friendly young stars to lift their visibility. 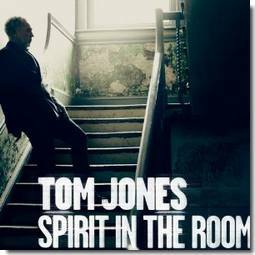 Spirit in the Room, the new album from Tom Jones on Rounder Records in the U.S., is, however, nothing like that. A couple of months back, I wrote at some length about the recording which is the opening tune on this album, namely Tom Jones’ rendition of “Tower of Song,” written by Leonard Cohen. I found it quite moving, brilliant and defining. I still do, and listening to the album which accompanies it does not disappoint. 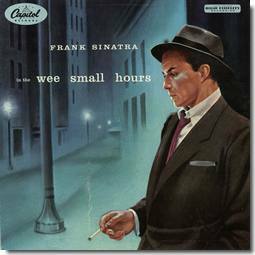 I think that any day would be a nice day to hear an album like this one.